- CM Complex (100-mg/tablet): Cetyl Myristoleate (CM) a powerful anti- inflammatory extract; Details on how CM works can be found here. The clinical experience of Debra Tibbitts, DVM, a veterinarian who uses CM routinely, can be read by clicking here. - MSM (500-mg/tablet): Highest quality, 99.9% pure OptiMSM; MSM is bioavailable sulfur that gives lasting pain relief in dogs and cats; Click here to read more about the Quality of MSM. - Glucosamine (150-mg/tablet): From glucosamine HCl; helps to restore cartilage and improve joint functioning; Click here to read more about Glucosamine in Dietary Supplements. Other ingredients: Dextrates, Porcine Palatability Enhancer, Poultry Liver Powder, Microcrystalline Cellulose, Stearic Acid, Silicon Dioxide. To make it easier for you, Kala Health have made ARTHRIX chewable and great tasting - to your pet! Want to know more? Please go to Ingredients. WHAT DOES IT DO FOR YOUR PET? ARTHRIX for Dogs and Cats contains a careful selection of powerful nutrients that improve joint mobility and reduce age-related joint discomforts. It contains a potent natural anti-inflammatory product which allows your pet to better use its own healing system. The nutrients in ARTHRIX allow your pet to better cope with age ! WHO WILL BENEFIT FROM ARTHRIX? While ARTHRIX for Dogs and Cats was designed specifically to improve the well-being of geriatric pets, it is an ideal supplement for the long-term joint maintenance of dogs or cats of any age. ARTHRIX benefits pets with joint injuries and pain, and larger breeds who often develop joint problems later in life. How old is your dog in human years? Click here to find out. The ingredients used in ARTHRIX for Dogs and Cats are of human grade purity and are widely recommended by many medical doctors and veterinarians. 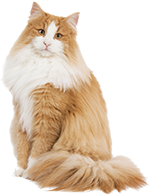 No negative effects have ever been associated with the use of ARTHRIX for Dogs and Cats. One dog who accidentally ate three whole bottles showed no ill effects! ARTHRIX is a nutraceutical product. It is not a drug. Traditional veterinary drugs are sometimes harmful. To read more about this, please click on Old Dog Project, or read this recent article in the Wall Street Journal. HOW CAN I AFFORD ARTHRIX? Perhaps a better question might be "how can I afford NOT to use ARTHRIX"? The next time you visit your vet or favorite pet store, notice how many products are on the market that offer only one main ingredient and a few minor ingredients in low dosages. Compare that with ARTHRIX which has FIVE active ingredients! With all the varying ingredients and qualities of ARTHRIX we have a perfect example of the expression - you get what you pay for. Now with enhanced taste appeal for cats! WILL ALL CATS EAT ARTHRIX? No, not all...For finicky cats, simply crush one half or a whole tablet and mix with a small amount of tuna or wet food. We have found that this works with almost all cats. Finicky dogs: crush the tablets and mix with their regular food. You may double the amount of tablets suggested for regular daily use for any length of time. It is simply not possible to overdose on Arthrix. We also recommend doubling up on the regular dosage during the first two weeks of usage..
ARTHRIX for Dogs and Cats contains 60 or 360 chewable treats.